tired of your bread being too plain? tired of your bread not giving your enough directions? tired of not knowing where to place the butter?? worry no more with our innovative butter placement reticle guaranteed to help you place your butter in the right place every time!!! but wait! theres more! 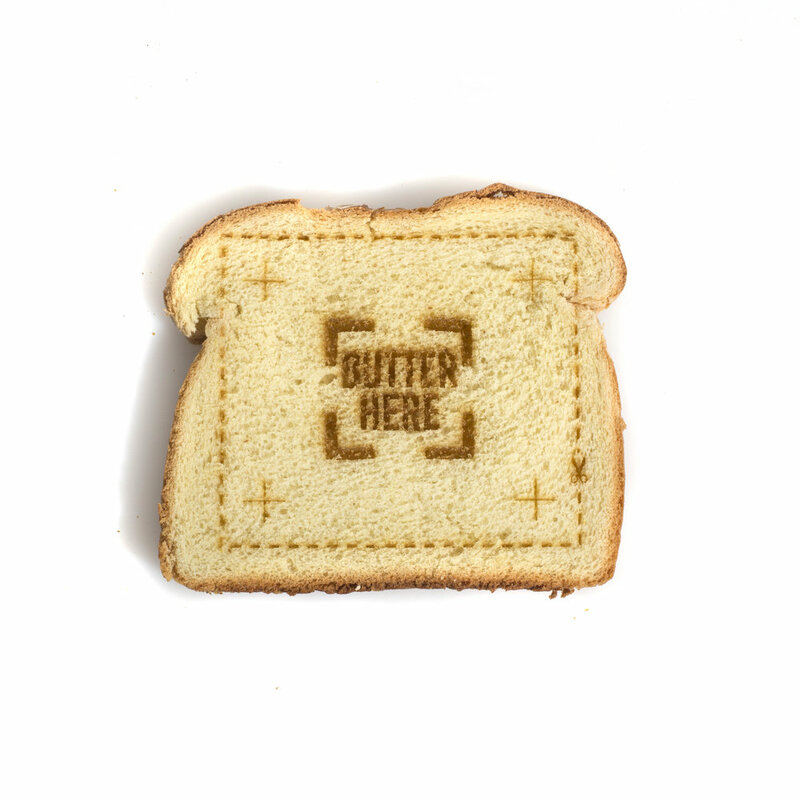 each piece of laser cut bread also comes with cut lines for the perfect crustless square. As well as registration marks to guarantee that perfect top and bottom placement, every time!